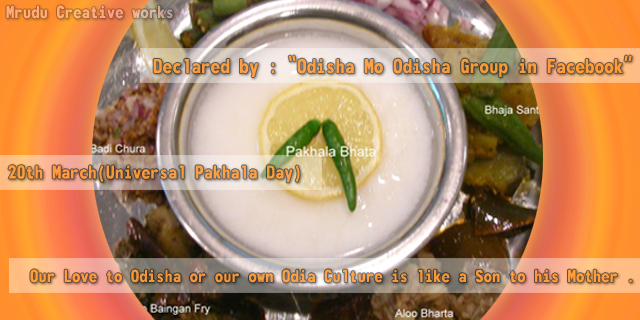 Pakhal is an Odia term for an Indian food consisting of cooked rice washed or little fermented in water. The liquid part is known as Torani. 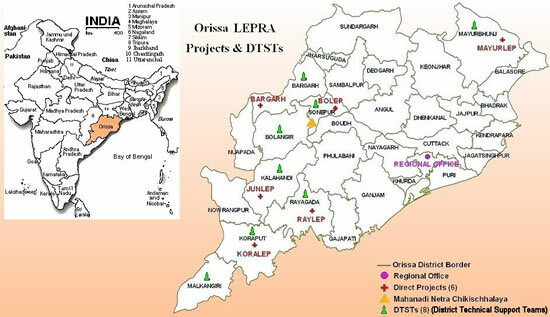 It is popular in Odisha ,Bengal,Jharkhand,Chattisgarh . The Bengali name for this dish is Panta Bhat . Eating pakhal has been recommended to prevent heat stroke in hot weather. 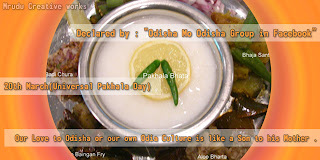 This special day has been declared by the group "Odisha Mo Odisha" in Facebook . First Brand Ambassador of Pakhala : Miss Krutika . Please Join hands to make this day successful globally . Your valuabe comment in our Inspiration. 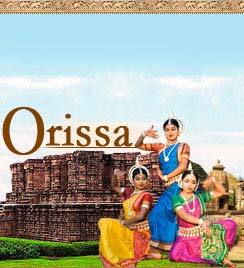 Visit Odisha "The land of Temples"! Ama Bhaitare kichi achi title song. Power " The generation "releasing soon . 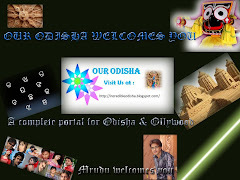 Hi,Iam Mrudu malay Mohapatra(PapU) Welcomes to Odisha "The Land of Temples ." 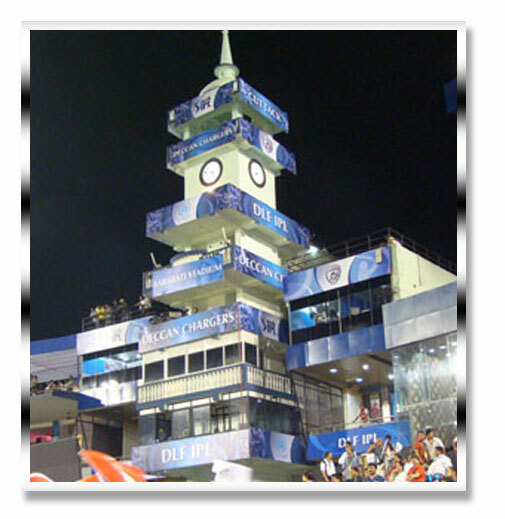 copyrights © MruduInfotech.com-2010. Awesome Inc. theme. Powered by Blogger.